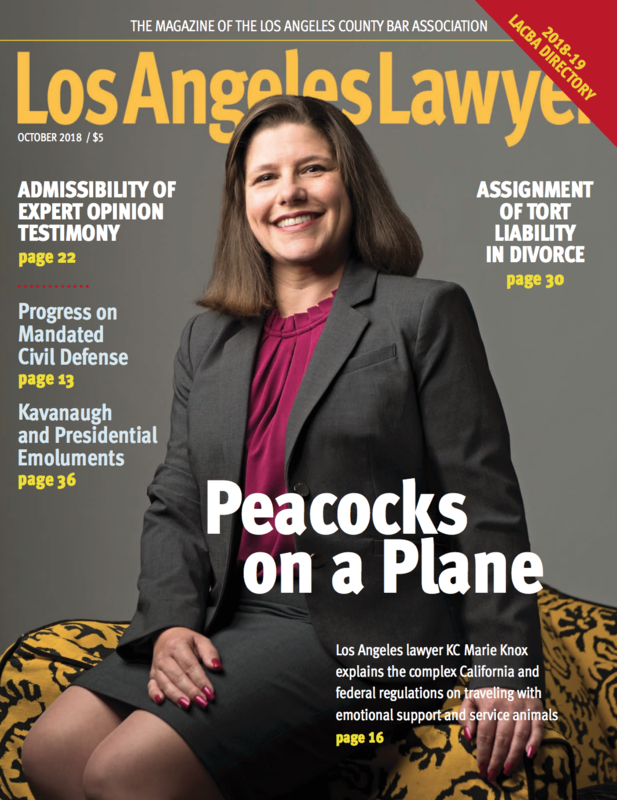 Attorney KC Marie Knox is on the cover of Los Angeles Lawyer Magazine! In this months cover story, she explores the complicated lines between what may be considered an emotional support vs. a service animal. Los Angeles Lawyer Magazine is the official magazine of the LA County Bar Association and is celebrating 40 years of excellence in legal writing to help lawyers practice smarter. Read the full cover story “Peacocks on a Plane” (*opens .pdf) starting on page 16. On Wednesday, August 29, 2018 Probate Attorney KC Marie Knox of Hymes, Schreiber & Knox, LLP will be the featured presenter of the National Business Institute’s (NBI) Seminar entitled “Probate: What Paralegals Need to Know“. Discuss how to efficiently handle the opening of the estate. 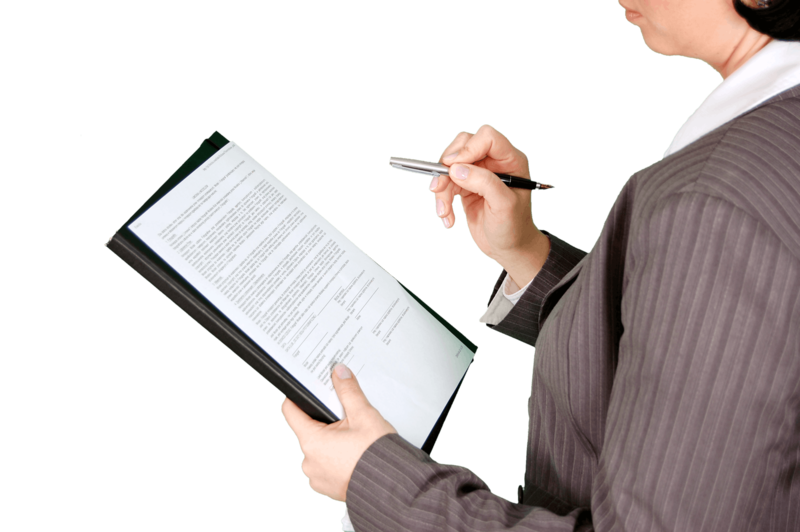 Review the typical timeline for probate filings. 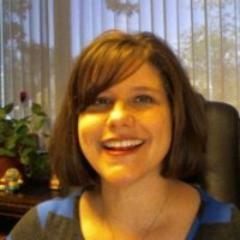 Gain valuable tips for handling tax issues associated with probate. 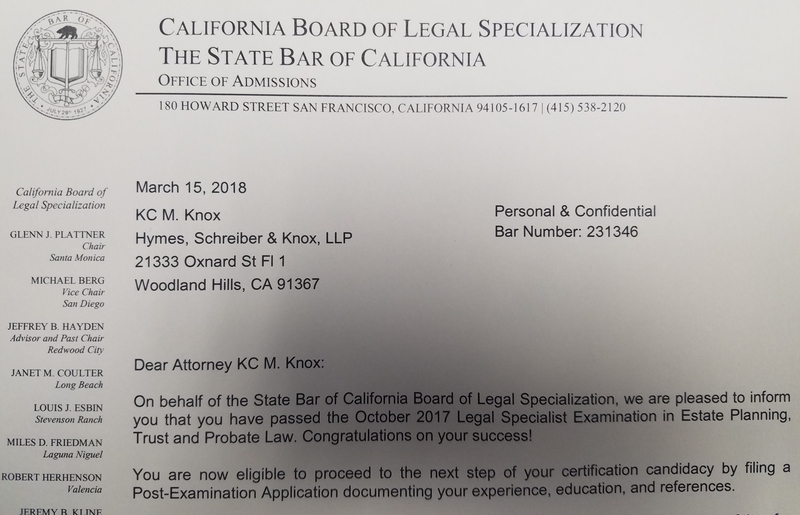 On March 15, 2018 Los Angeles Estate Planning Attorney KC Marie Knox of law firm Hymes, Schreiber & Knox, LLP was informed by the State Bar of California that she passed the Legal Specialist Examination in Estate Planning, Trust and Probate Law. California Rule of Court 9.35 served as the basis for the creation of the State Bar Legal Specialization program. 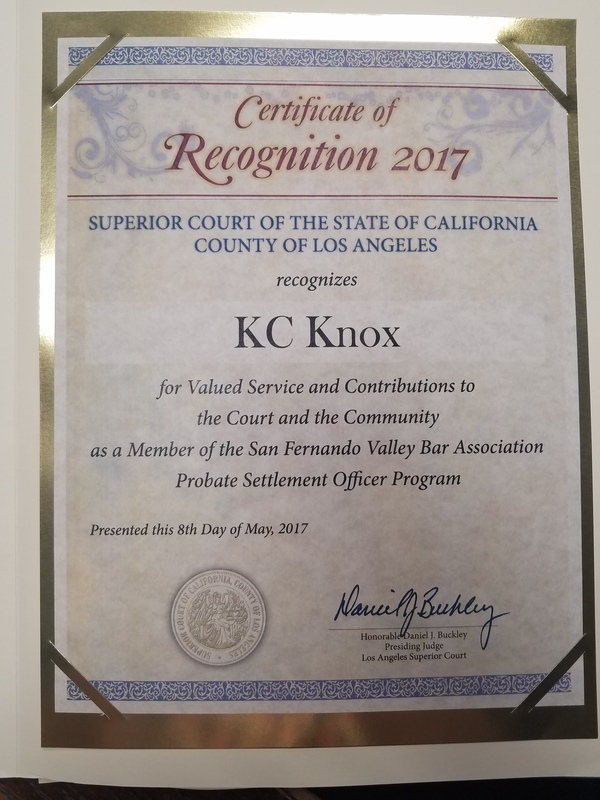 The program was intended to provide a method for attorneys to earn the designation of certified specialist in particular areas of law, increasing public protection and encouraging attorney competence. The program was the first of its kind in the United States, and it has served as a model for other state programs for certifying legal specialists around the nation. Please visit our website to learn more about our Estate Planning Attorney in Woodland Hills. Multiple versions of similar documents that say different things is a common litigation issue that arises with advance directives. While you may have had one gifting scheme in place, you may have changed your mind after awhile. All of these legal devices essentially do the same thing: Setting a set of directions, to an agent, that you as the principal set forth so that somebody knows what your choices are for your end of life and after life decisions. Every institution must provide you with information about advance medical directives, including the right to make your own decision, under the applicable state law. Under federal law, if any institution (including hospitals and health care agencies) wants federal funding they need to abide by this. If you have additional questions about Advance Directives (also known as Living Wills) contact our estate planning attorney in Woodland Hills today. It’s Official – 2016 Estate and Gift Tax Exemption Increased! It’s official — for 2016, the estate and gift tax exemption is $5.45 million per individual, up from $5.43 million in 2015. That means an individual can leave $5.45 million to heirs and pay no federal estate or gift tax. 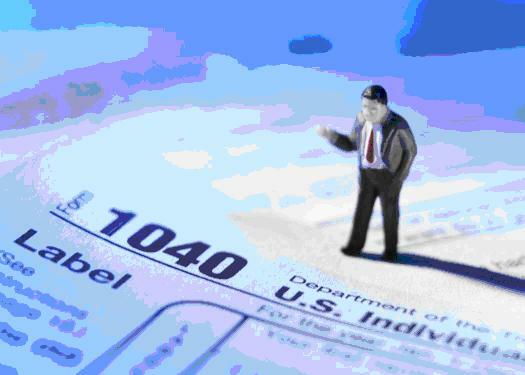 A married couple will be able to shield $10.9 million from federal estate and gift taxes. The annual gift exclusion remains the same at $14,000. What Happens to Reward Points When You Die? Tom was fairly successful in life and had a love for travel. To maximize his options, Tom was enrolled in several different programs which generated reward points. 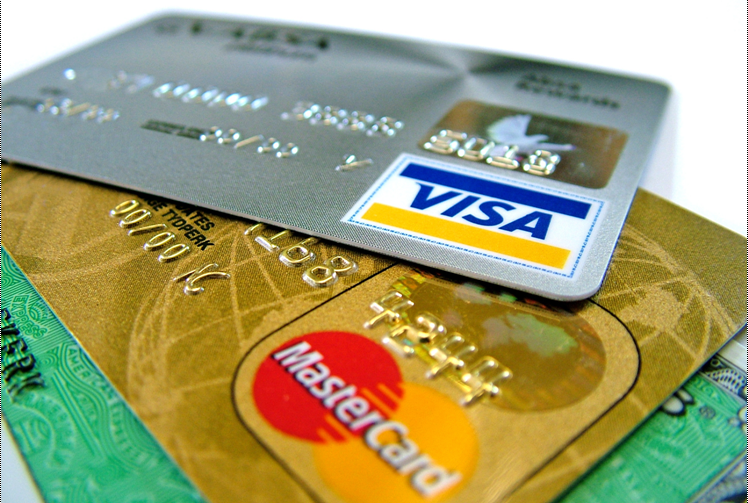 These points could then be redeemed for travel, hotel stays, car rentals, etc. 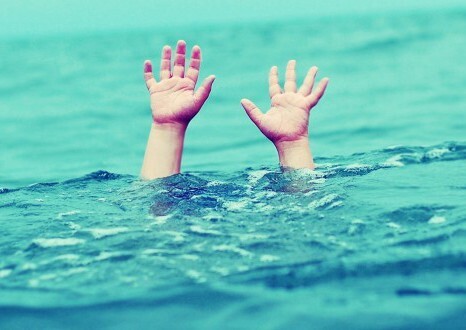 Tom assumed that when he passed away, his accumulation of reward points would simply pass on to his kids, or whomever else he designated as part of his estate plan. Despite Tom’s intended plan, the reward programs had a different plan in mind.